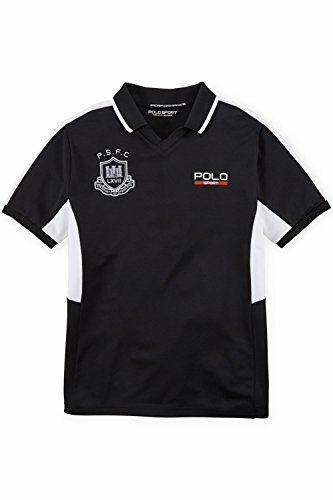 This moisture-wicking polo shirt will keep him cool from the park to the playground, while a soccer-inspired crest at the right chest give it the look of a team jersey. "P.S.F.C. LXVII" crest screen-printed at the right chest. "Polo Sport" screen-printed at the left chest. Johnny collar with contrast tipping. If you have any questions about this product by Polo, contact us by completing and submitting the form below. If you are looking for a specif part number, please include it with your message.